This is all about animation and related field information. Animatix multimedia based in kolkata is a studio behinf the creation of the 2d animated serirs, Bentul-the great, based on the comic strips created by shri Narayan Debnath since the 1960s till date.The animated series currently airs on Zee Bangla every sunday at 10 am. Animatrix has already completed 42 animated episodes of 21 mins for the series and is developing more. "Animatrix owns the copyrights of the animation format for the entire stories of Bantul-The Great created since 1964 till date. Bantul is very powerful and he can lift anything like a train,a multistory building or even full range of hills and throw it directly at the culprits to punish them.The series have other two important characters, named Bacchhu and Bicchhu. Both of these notorious characters stay with Bantul at his home under his guidance. Inattentive in their studies and irregular in school they always give a reason to neighbours to complain to Bantul.very often Bantul faces several embarrassing situations,created by the two boys,and is forced to give them a strong dose of punishment to teach them a lesson. The Bentul is very innocent,always fights for good, protects his owned from outside enemies. All this is so familiar to the people here that it is impossible to change it even a little. In the script my challenge is to maintain this balance,through it is an animated series,but we have the audiance of 8 to 80 years age group,and according to that the necessary changes in dialogues, environment,props,weapons,even the villain's activities need to be done.For example for the 60's or 70's audiance,they are not accustomed to see Bantul with mobile phone. he studio is working on 2 TV series,Bantul-The Great Buri O Magicman.telecast on every Sunday at 10.30am on Zee Bangla.Apart from this it is also going to start work on another series,named Handa-Bhonda, this is also a vary famous cartoon character of Bengal. 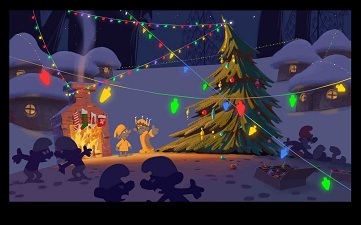 The Smurfs:A Christmas carol:Maxi-director Troy Quane On Sony's mini-Movie. There's always surprise in santa's sack.THis holiday season,the surprise lkies in The smurfs 3-Disc Holiday gift set on Blu-ray: an all-new "mini-movie" The smurfs:A Christmas carol,directed by Troy Quane.Whom we have previously met on Disney's Enchanted. Troy began his animation career in 1995,When he was hired out of sheridan college as a character Design for Phoenix Animation studios in toronto.With in three months he was promoted to production Designer,then spent the following eighteen months as an Art Director and Design supervisor for numerous various productions at the studio. In the summer of 1966,Quane was hired as a traditional animator for Walt Disney animation canada's new studio in toronto.There he worked on a multude of direct-to-video productions including beauty and beast:The Enchanted Christmas,Pocahontas11:Journey to the New World and Mickey's once upon A Christmas. In 1999,he left Disney to embark on a freelance career.Over the next years he progressed to senior Animator on various top end commercials and feature films including Fox feature Animator's osmosis Jones,sony's Eight Crazy nights and Universal's Curious George. hand-Drawn animation hybird film Enchanted.Most recently.Quane joined sony pictures Animation to direct the TWenty-two minute short film The smurfs:A Christmas Carol,a mini-movie,Which combines CGI and Hand drawn animation. 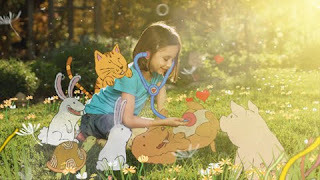 animation with drawn like-live action,capturing a sense a child like imagination and endless possibility. "Nemours is a cool place for kids and the hand drawn style of the cel animation in the compaign was inspired by their creativity energy,"said Brad Tucker. "cel animation is a labor of love with every frame drawn by hand,and the process let us dive deep into the range creativity talent that lives here at stardust". The four-spot compaign imagine what a chile future might hold thanks to Nemours cutting edge technologies and specialized medical care.In "Backyard girl" a girl playful runs through a lush yard surrounded by flurry of animated flowers and animals. "Musical girl"stars an aspiring youngster rocking out through the halls of school,and "Baseball boy" features a boy with dream of Baseball stardom;two different version of the later were created for the Orlando and Delaware markets respectively.Each of the spots blends footage of a child with Whimsical pops of cel animation that comes to life across each frame. A standout spot in the compaign "backyard girl" was artfully shot by DP Ketil Dietrichson using Red camera,and enhanced with volumetric lighting ,lens flares and bright golden overtones using Autodesk flame. Stardust animation film is draw each frame by hand,and completed 3D tracking in every scene to give animation depth before final compositing was completed in Adobe after effects.stardust turn around time for the compaign was five weeks.The spots are currently airing through out Orlando ,Fl and Delaware. AutodeskINC., announced 123D software Windows based 3D modelling application for makers combine with content and services is now available in public beta release download by makers. Autodesk 123D anyone can explore,learn and create highly precise 3D models.makers can bring ideas toreality to combining powerful digital design by services for creating projects.From both with in the application and through the 123D websites,individual can discover and download content to start,complete and visualize the project and then access for purchase personal fabrication services through Autodesk 123D partners.Makers can purchase pre-fabricated products to explore 3D printing or assemble models form 2D laser cut materials like cardboard-the first variety of custom fabrication options coming soon to Autodesk123D. "The reality is most people don't know how to designed in 3D. 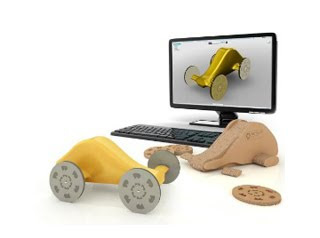 Autodesk123D users can printer their designs on a 3D printer or use the for-purchase personal fabrication services features on the make it link the application. Autodesk forged alliance with new partners that have extensive experience providing the maker community with the ability to create a unique project at home or to have it fabricated elsewhere and shipped. 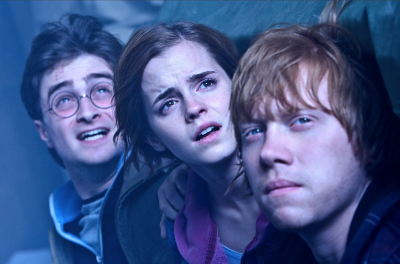 This is it Harry potter fans the lost movie installment of the loved Wizard book franchise Which dominated the imaginations of children and children at heart all over the world.The official trailer for Deathly Hallows Part2 and expect nothing but is the best An Epic Ending:Students Respond to Trailer of final 'Harry potter' installment. The eight and final installment of the globally activating "Harry potter film franchise is just around the corner and its movie trailer it has been released. 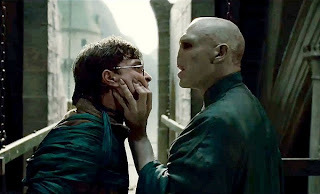 Warner bros release the trailer "Harry potter and deathly Hollows:part 2 via you tube on Apr27th and its promises as much thrill as is found in the j.K rolling novels Hogwarts engulfed in flames, Hermione tearfully throwing her arms around Harry,Harry lord Voldemort pulling each other off the ledge,and of course ,that all- to- familiar slow,broken theme music promise to deliver what diehard potter fans have been writing for years to see. "I never wanted any of u die for me",says potter in the trailer alluding to one the book,s most heart breaking ,intense moment. Pixologic,Inc., Award winning ZBrush have announced the latest release of GoZ update 1 for ZBrush4. ZBrush is the leading 2D/3D sculpting application,integrating and expanding all process of artistic imagination and digital creation without the usual technological restraints. ZBrush instant feedback and real time response make working with ZBrush feel like real-world sculpting and painting allowing the artist complete freedom of expression.This is exemplified of the plethora of groundbreaking creations and images in blockbuster movies,games and many othe r industries. GoZ update 1 for ZBrush 4 now brings photoshop support. As part of its commitment to expanding to capabilities of GoZ, pixologic has added photoshop support of Goz update 1 addition to expanding support fro new versions of its previously supported applications. For those that have a extended version of photoshop cs5,cs4,GoZ its now possible to paint directly on to the models texture rather than using polypaint,As a result texture painting can be completely independent of the model solution. "By simply clicking by GoZ button you can send the model and its texture to photoshop,There paint whatever you like in full 3d. mac user need to 32-bit version of photoshop.